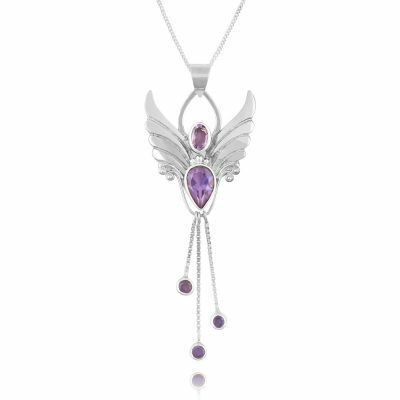 Home / Angel Pendants / Aquamarine Angel Pendant For Rejuvenation & Connection. 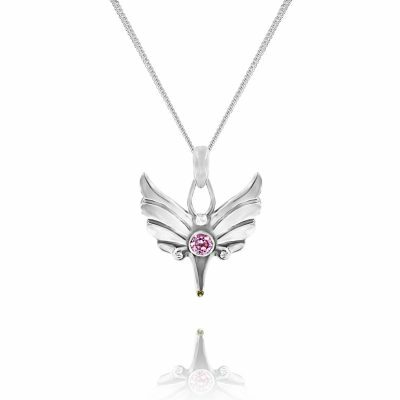 The Angel Necklace for spiritual, and harmonious connections, clear communications. Helping us to breathe deep, relax, feel protected, composed and rejuvenated. The Angel for March Birthdays. 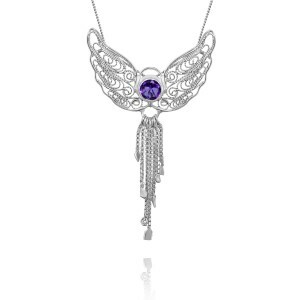 Necklace comes with a Sterling Silver chain and presented in our Angel Jewelry gift box. 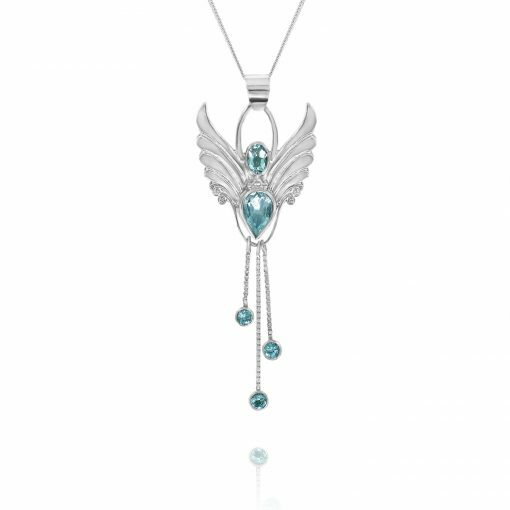 Refresh and calm the mind with a beautiful flow of divine angelic connection which comes easily with the Aquamarine Angel Pendant. 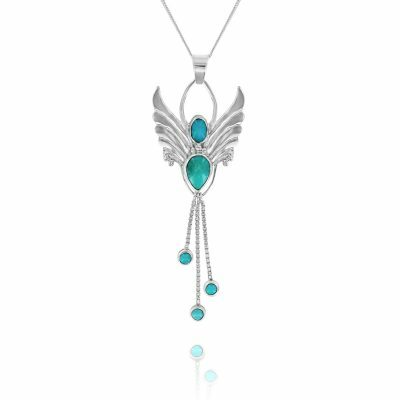 Her beautiful Aquamarine crystals evoke the exhilaration and energy of the ocean, and her loving care will bless you with all the benefits that a few blissful hours spent by the sea can bring, leaving you feeling rejuvenated and relaxed. 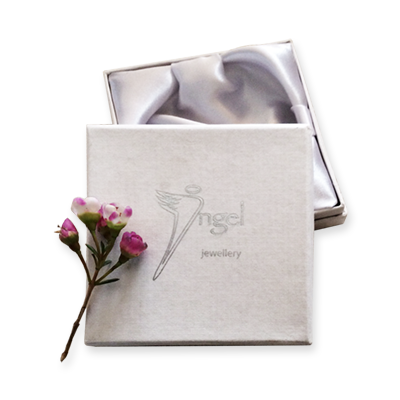 Calming and soothing, this Angel helps us to find truth, the ability to let go, and the means to open clear and heartfelt channels of communication with loved ones and work colleagues alike. Use the energy that this Angel brings to re-boot and take stock of the important things in life. 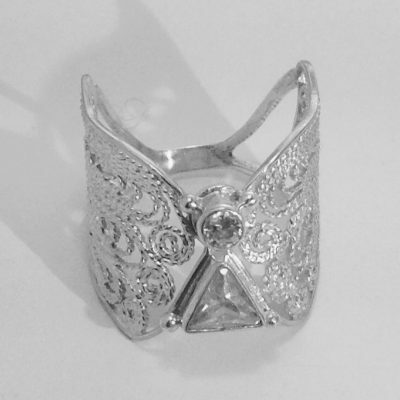 In ancient lore, Aquamarine was believed to come from the tears of mermaids, and to this day Aquamarine is thought to be a protective crystal for those who work or travel by, over, or near water. It was also considered a stone of eternal youth!